New Delhi: The battle for supremacy in the AIADMK intensified on Friday with the merged factions of the party moving the Election Commission seeking the lifting of the freeze on the party symbol "Two Leaves" and restoring it and the name to the combined party. 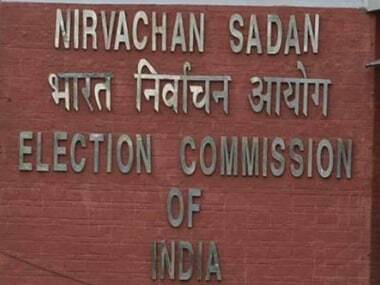 A communication addressed to the Chief Election Commissioner (CEC) AK Joti and the other two commissioners, signed by the Tamil Nadu chief minister E Palaniswamy and deputy chief minister O Panneerselvam, was submitted on Friday, citing the resolutions adopted by the general council at after the merger of the two factions held on 12 September in Chennai. It also conveyed to the Commission that the general council of the combined party has since removed jailed party leader VK Sasikala as its general council rescinded all the appointments and removals she made between 29 December last year and 15 February this year. On receipt of this communication, the Election Commission has fixed 5 October as the date for hearing the case relating to the AIADMK symbol dispute. KP Munuswamy, V Maitreyan and Manoj Pandian (Panneerselvam faction) and ministers Jayakumar and RB Udayakumar (Palaniswamy faction) presented the communication to the Commission. The communication by Palaniswamy and Panneerselvam submitted that with the resolutions passed unanimously at the general council meeting on 12, September, 2017, the wish of the majority of the party has become clear. "It is submitted that the symbol of the party and its name are its identities amongst the public and the party cannot be deprived of the same even after the ultimate policy-making body of the party has decided in the manner to take the party forward. "Further at the general council meeting the members have expressed the wishes and ultimatum issued by the primary members, who they represent, that the groups in the party shall stand united and the supporting affidavits by several primary members expressing their support to one group of other shall be withdrawn. "Accordingly, the petitioners and the respondents from the two erstwhile groups withdraw all the supporting affidavits filed by the party cadre," the communication said. Palaniswamy and Panneerselvam said in the letter that it was clear from these facts that all MPs, MLAs, ministers and general council members belonging to the AIADMK have joined together and are now entitled to the "Two Leaves" symbol as well as the original party name. The entire cadre, they claimed, have endorsed the stand taken by the general council and supported all their decisions. "The general council which is the true representative body of the entire members of the party had passed the said resolution so that all the unauthorised and illegal appointments and removals sought to be made by 2nd respondent (Sasikala) in the pending proceedings and would be set aside and the original party structure as left behind by our leader (Jayalalithaa) would be restored," the communication said. 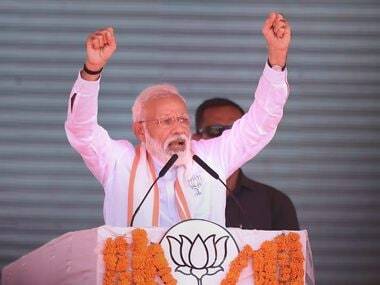 They also cited a resolution adopted unanimously that the late Jayalalithaa would be eternal general secretary of the party and the post of general secretary she had occupied shall not be occupied by another person. It was resolved that no person shall be elcted to the post of the general secretary. 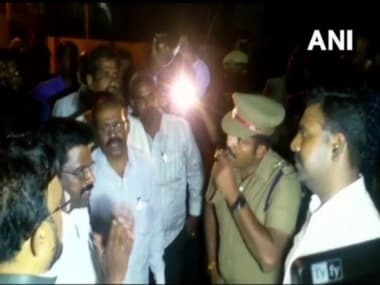 Further, the communication said, that at the 12 September general council meeting it was resolved that that the resolution adopted at the 12 December meeting by which Sasikala was appointed interim general secretary was cancelled. "The general council, the principal law making body of the party, which had appointed Mrs VK Sasikala as the general secretary on 29.12.16 had itself cancelled the same as being void and had also set at naught all the appointments and removals made by her from 29.12.2017." "All the decisions and representations given by her also stand nullified. In fact, the general council which was the source of the power had itself cancelled the power. In the light of the General Council meeting held on 12.09.2017 and the amendments that were unanimously approved and adopted the relief sought by the petitioners regarding the illegal appointment of Mrs VK Sasikala does not survive now," the two leaders contended. They said since it was decided that there would be no general secretary, the posts of coordinator and joint coordinator were created and introduced by an amendment at this month's general council meeting, which was unanimously approved. "The AIADMK is now functioning as one party with the two groups having unified. 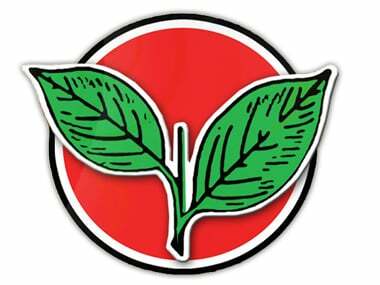 Therefore, there can be no embargo now on the use of the "two leaves" symbol allotted to AIADMK," they said.